A peaceful paradise in the middle of Venice! The lovely garden out front and back invites you to sit down and have a bite to eat. 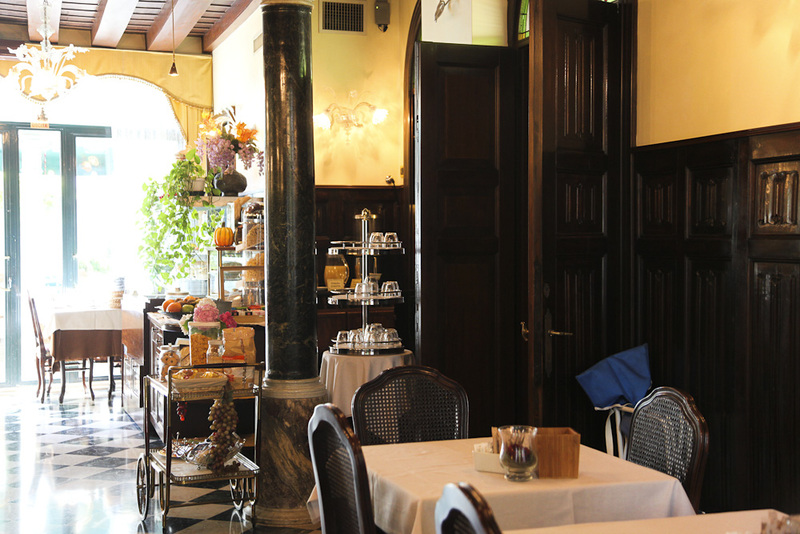 The breakfast room is ample, bright and has a magnificence to it which normally only grand hotels exude. The rooms have wooden floors and are furnished with typical Venetian furniture. The bathrooms are a bit old fashioned but acceptable. The facilities offered in the lounge and the gardens are well worth the money by themselves.